Shopping for Little Mermaid Backpacks? 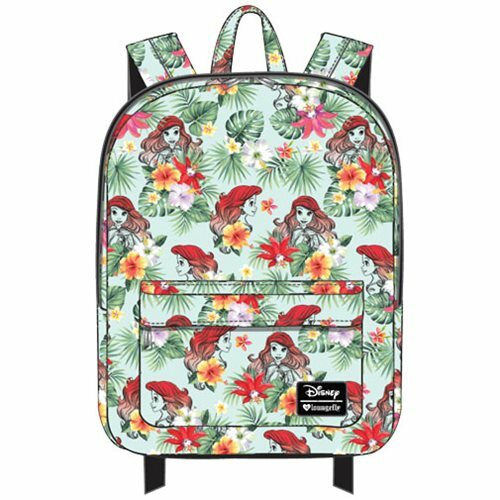 Show off your Disney pride with The Little Mermaid Ariel Floral Leaves Print Nylon Backpack! Made of printed nylon, it features an interior laptop pocket, an outside pocket, a handle, and straps. The bag measures approximately 17 1/2-inches tall x 11 1/2-inches wide x 5-inches deep.